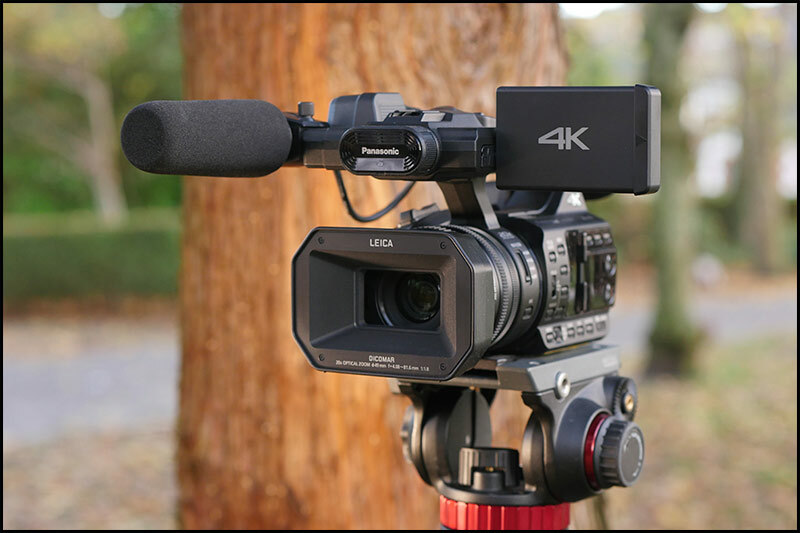 Among those many camcorders with the capability to record video in full 4K quality, there are probably two or more unit that caught your attention because they come with similar set of feature and capabilities. 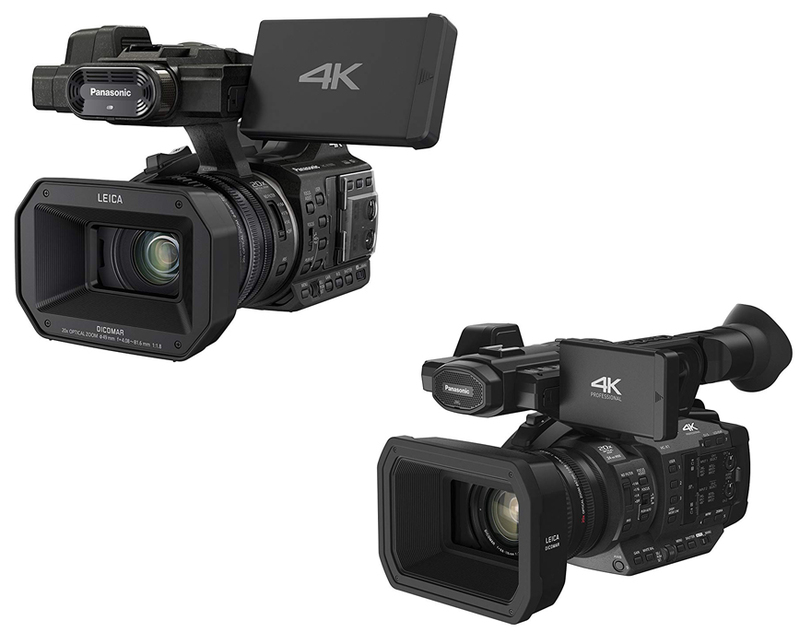 The example is between Panasonic HC X1000 vs HC X1 which are alike for they are actually brothers but of course bound by the different model, they will also have some difference. If one or two of them took your interest, go check our article below. In the last several years, the growing popularity of 4K video is continuously rising and unlike in the past, almost capable cameras today are packed with a set of modern features including the capability to record 4K video. One camcorder you can opt to if that is what you are looking for is Panasonic HC X1000 which is the first with the capability to be offered is consumer market by Panasonic. The unit is indeed released years ago but even now, it is still can be considered features rich. 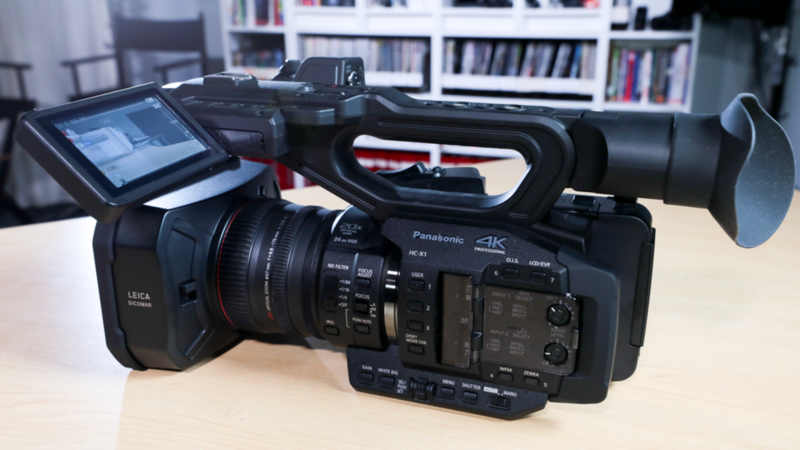 Since Panasonic HC X1000 is a professional camcorder, we can’t really say it is compact for there are many smaller cameras out there that can also take 4K video but for this type of cameras, it is fairly sized and weigh around 3.5 pounds, so you can still able to support it during handheld shoots. The body is made out of heavy duty plastic, but you won’t feel it is cheap or flimsy. The handling is also standard with handgrip on the right and overhead handle. Read also : Panasonic HC X1000 vs. Sony FDR AX100 here. Panasonic HC X1000 comes with features worth taking many videographer attention with MP4, AVCHD, and MOV codecs but it doesn’t mean it can suit everyone because it is using 4K 8-MP 1.2.3-inch BSI sensor, so it is hard to push it to get past 9 stops of dynamic range and even though its MP4 codec taking up to 200Mbps, the image has little to no room for manipulation in post-production which is why it is not suitable for indie movie maker and better for commercial contexts like shooting events. The camera also coming with all the standard features in more traditional unit such as the A and B preset in white balance that can be set to 3200k and 5600k for tungsten and daylight, so it can quickly switch between environments. One of the most impressive feature on Panasonic HC X1000 is the lens because it is able to perform 20x optical zoom which is more than enough for any typical videography scenario. Another good feature here is the image stabilization with 5-axis hybrid system using both software and optical stabilization to give you an impressive result. For purist, this feature may not too appealing but for those who often use their camera off the tripod, it is very important. There is 64GB SD cards inside and you can use two at once; one for continuously recording and the other will shoot what you want with the REC button. Battery itself will stay up to 6 hours when taking continuous 4K video. If you want something with the same build and set of features but with some more powerful capabilities than Panasonic HC X1000, you may want to take a look at Panasonic HC X1. Even though the name is missing 3 zeros, this one is actually released later than the previous camcorder around 2 years in gap. Even though we said it has some better features, they are not that prominent and probably won’t affect your decision is you are already loving the X1000. Form the form factor, Panasonic HC X1 is still coming in a similar shape like the predecessor but it is somehow sleeker and smaller. Ergonomically, it still comes with the familiar handheld design and a set of buttons located at the side for quickly accessing its essential functions. You may also use the 3.5 touchscreen to access the menu and monitoring function. You can find a large zoom rocker for precise zoom control at the top of the handgrip. Just like the previous model, Panasonic HC X1 is boasting the capability to record a high quality 4K video that you can choose from different quality up to 24fps while UHD is up to 60fps. In addition to super slow motion, the 720 and 1080p are also topping at the same 60fps. This camcorder is using 4K 1-inch type MOS sensor which is ideal for run and gun filmmaking or ENG-style production. Optical zoom is also supported up to 20x that covers the range from 24mm wide angle to 480mm telephoto. Image stabilization used her in Panasonic HC X1 is still the 5-axis Hybrid O.I.S that combines the optical stabilization with electronic stabilization to detect and correct vibration along of its 5 axes including pan, tilt, roll, horizontal, and vertical. Advanced O.I.S with expanded correction area will also effectively reduce vibrations from hand-shake jitters even up to unstable shooting situations. Another improvement they put here is the intelligent AF because now you can achieve precise AF performance by moving the Micro Drive Focus Unit quickly. Since Panasonic HC X1 is coming with two card slot, you can do multi-format recording using the two of them simultaneously, such as one card for storing master 4K and the other for lower rate HD proxy file if you want to edit them. Now, let’s compare Panasonic HC X1000 with Panasonic HC X1. As you can see, what separate them prominently is the sensor and intelligent AF. HC X1 is having bigger 1-inch sensor while HC X1000 is only using 1/2.3-inch sensor. Other improvement is on the intelligent AF which makes HC X1 able to achieve more precise autofocus performance. All in all, the decision is all yours to make. In our opinion, both of them are a good options depend on what you are looking for and what you want to use them for. If you want to shoot a movies, we will recommend you the one with bigger sensor like HC X1 but if you only need them for recording commercial contexts, Panasonic HC X1000 is the more affordable option.